This is a raw hemp high protein powder suitable for vegans, vegetarians and anyone who wants to boost proteins in their diet without having to consume whey or soy proteins. This protein powder is an amazing product. Hemp contains complete protein and is similar type of protein to egg protein. Hemp protein is the best of the of seed & nut based complete proteins. We have 2 grades available: 30% & 45% protein. 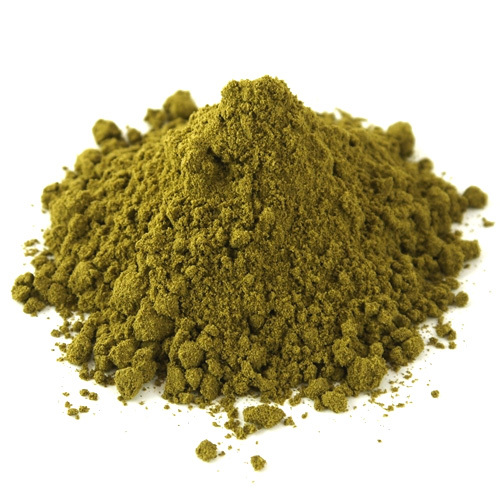 This hemp protein powder is a lovely green in colour has a sweet, light, nutty flavour and is fine enough to add to any baking, drink, meal or product. You will not find a better quality anywhere else and this is the best price hemp protein powder available. Absolutely perfect for your morning smoothie. It is more easily digested and tastes amazing. If you are looking for more proteins in your diet, eating hemp protein powder is a great to do it. Hemp contains a complete easily digestible vegetable protein with all the essential amino acids. On top of having all of the amino acids, hemp protein also is 90% digestible meaning that only 10% of the protein is passed out of the digestive tract without being digested. While this is not as high as egg, typically with a 97% digestion level, it is a lot higher than soy which typically comes in at 78% or lower. Meat and fish are around the 94% mark. Peanuts have a higher digestibility at around 95% but only 25% of the peanut is actually protein whereas our hemp protein powder is 45%. Unlike the many refined “isolate” protein powders on the market today which are heated & processed extensively, our hemp protein powder is created by cold-pressing raw non-GMO hemp seeds to separate off some of the oil, next milling them into a fine flour-like powder at low temperatures, then mechanically sieving the powder to remove some of the fibre. The process uses no solvents, fillers or additives. 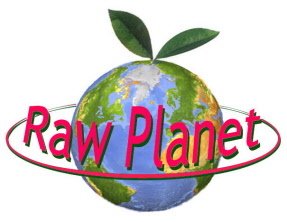 It is kosher, gluten-free, vegan and raw. The cold-press and cold-milling processes used to create this hemp protein powder make sure that valuable enzymes are protected and the many minerals, vitamins and micronutrients remain intact. With hemp protein, we are able to mechanically separate some of the insoluble fibre which results in the higher protein levels. We are not adding anything, just taking away. No chemicals are used in the separation process, it is a proprietary screening process but because it is mechanical, it is far from perfect and leaves a lot of the fibre still in the product, as much as 20% of protein powder is in fact, fibre. It is also the best kind of fibre, the insoluble kind, the very same they are using wood fibres for, only the fibre in hemp protein is of an excellent quality. In our opinion, there is no better place to get fibre. There is simply no better fibre then hemp fibre. Hemp seed is 100% gluten free. Would you like to lose fat, gain muscle and improve athletic performance? A rich source of bioavailable protein, Hemp Protein delivers a hefty 22g per 60g serving! Taken in conjunction with a regular exercise program, it can significantly help muscle recovery and growth. And, unlike other protein powders, it naturally contains the perfect balance of Omega 3 and 6 fatty acids, which have been shown to aid thermogenesis (fat-burning). Many people say that it is very sustaining, eating hemp protein curbs their appetite for hours, leaving them with energy to spare! Are you a vegan or vegetarian fed up with soy? Hemp contains all 10 essential amino acids, making it the only balanced, complete source of vegan protein. For those wanting to avoid soy products, hemp protein powder can provide a tasty, high-protein alternative in a very convenient form. Ideal for vegan athletes and growing vegan kids! Do protein powders upset your stomach? The greatest proportion of protein in hemp is edestin, the type most easily used by the human body. Edestin is similar to those proteins found in the human body that are pre-cursors to components such as hormones, hemoglobin, enzymes and antibodies. Edestin comprises 65% of the protein in hemp seeds, offering benefits for immunity and communication between cells. Edestin also aids digestion and is considered the backbone of our cells’ DNA. Hemp’s edestin content is the highest in the plant kingdom. The remainder of hemp’s protein occurs in the form of albumin, which ranks close to edestin in terms of bio-availability and quick conversion to amino acids.The combination of these two types of protein in one superfood seed make hemp protein the closest match for our human protein needs and the gold standard for vegan protein. Compare this to soy and whey protein powders, which may cause digestive disturbances leading to bloating and flatulence. Soy naturally contains substances that inhibit the enzyme trypsin, interfering with digestion, and even very low-lactose varieties of whey can still contain enough lactose to upset sensitive stomachs. Neither soy nor whey contains Edestin protein. Hemp protein powder is also a healthy source of dietary fibre, chlorophyll, and minerals including magnesium, iron, zinc and potassium. It also supplies powerful antioxidants including alpha-beta, gamma and delta-tocopherol and alpha tocotrienol. More and more people are realizing the benefits of eating food that is “live,” raw, or unheated, so that its life-giving enzymes are still active. Our hemp protein powder is manufactured using cold-processing technology that keeps the enzymes, natural antioxidants, vitamins and minerals intact. This makes it easier for the body to recognize as “real food,” and so makes it easier to assimilate. It also contains chlorophyll, a natural detoxifier! Alanine 0.5g, Arginine 2.4g, Aspartic Acid 1.8g, Cystine 0.3g, Glutamic Acid 2.8g, Glycine 0.5g, Histidine 0.5g, Isoleucine 0.5g, Leucine 0.8g, Lysine 0.4g, Methionine 0.3g, Phenylalanine 0.5g, Proline 0.7g, Serine 0.8g, Threonine 0.7g, Tryptophan 0.1g, Tyrosine 0.4g, Valine 0.7g. Ingredients: 100% organic raw hemp protein powder. Serving Suggestions: Add to smoothies, juices, yoghurt, energy bars and animal feed. Combine with hemp seed oil, hemp seed meal & cacao powder & agave syrup to make a sweet hemp pesto or curry powder &/or herbs to make a savoury hemp pesto. What is the difference between hemp flakes, hemp flour & hemp protein powder? Hemp seeds are crushed to produce oil hemp flakes. The hemp flakes are then ground to make hemp flour. Hemp flour is medium fine consistency. To make hemp protein powder the hemp flour is mechanically sieved to remove some of the insoluble fibre. Hemp protein powder contains 45% protein compared with 30% protein in hemp flakes & hemp flour. Hemp protein powder is ground much more finely than hemp flour & is lighter in colour & lighter & sweeter in taste.